Combining cutting-edge technology with unmatched attention to musical detail, Evermore enhances the sound of up-and-coming, established, and eminent musicians alike. Owner Luke Beaulac, an experienced musician and accomplished producer, has carefully designed every detail of his recording studios with music and musicians foremost in mind. Evermore Sound aspires to help artists in Orlando—and around the world—achieve their creative vision. Since opening in March 2012, Evermore Sound has recorded music by Don Omar, Yonder Mountain String Band, Iyaz, Molly Hatchet, Bhagavan Das, General Eyes, Vito Banga, Syko, and hundreds more. 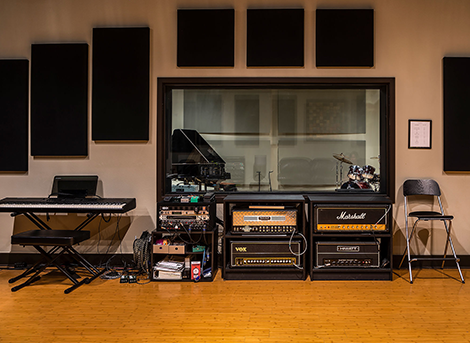 Studio A boasts the best of everything: top technology, comfortable spaces, and beautiful instruments, including quality guitar amps and cabinets along with a great assortment of vintage gear. Housed in 3000 sq. ft. facility (larger than the average home in Orlando), Studio A features a large 22' x 34' tracking room and spacious 20' x 32' control room as well as a relaxing lounge with all amenities. has been active in many music scenes since he picked up a guitar at age twelve. By his teens, he was touring extensively with several local bands in Canada and beginning to explore the technology as well as the artistry of sound recording. 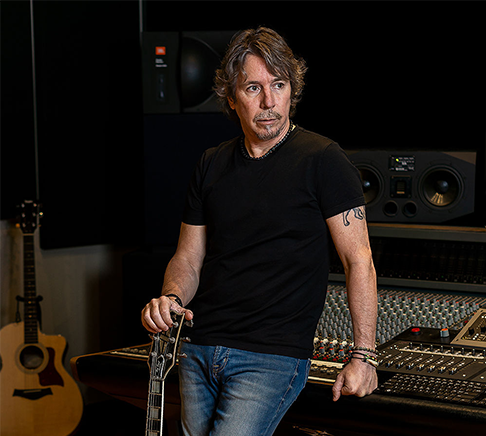 His first eye-opening studio experience came when working with producer Nick Blagona, who had just completed Deep Purple’s album Perfect Stranger. 407-218-5953 or email us. We can't wait to get started! Evermore Sound is a state-of-the-art recording studio located in beautiful downtown Orlando Florida.